My name is Yosuke Uno (York Uno). I was born 26th of May in 1975. I live Kanazawa　Ishikawa Japan. I have been riding BMX for 18 years. how did you get involved into flatland? 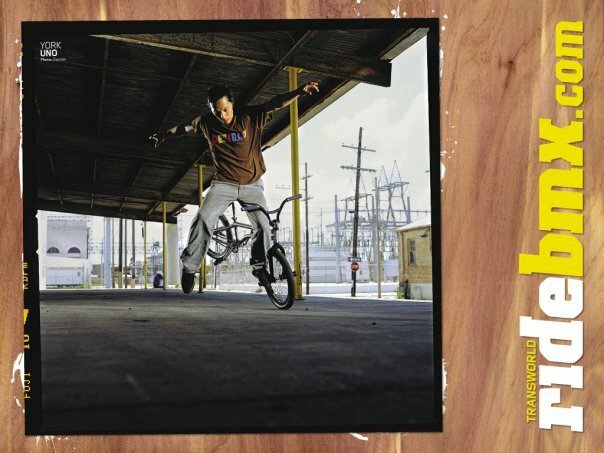 what gave you the motivation to start riding flatland? because there were only a few shops selling BMX. I made a big mistake and bought a MTB bike. I finally bought a BMX freestyle bike. I decided to ride flatland seriously. 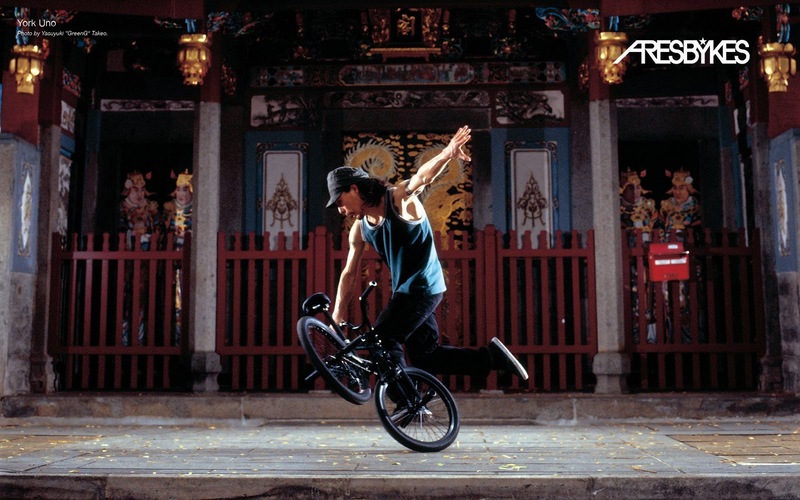 what is flatland riding to you? what inspires and motivates you to keep riding? I ride almost everyday, since 18 years. My motivation is the freedom I feel when I ride. I really focus on BMX riding as work. shows, work, marketing internet, Ares etc. It’s different throughout the year. on internet marketing for the last 2 years. profile with my experiences frequently. my experiences and maybe they can learn something out of it. I work from around noon until evening. and organise my show schedule. and it is difficult to organise my schedule. and how do you see the future of flatland? japanese development, or is it the same? flatland was dominated by pogo tricks. nowadays turbine tricks are the new way of riding. change that aims for a more distinctive riding style. down the riders who are able to survive in this period of change. 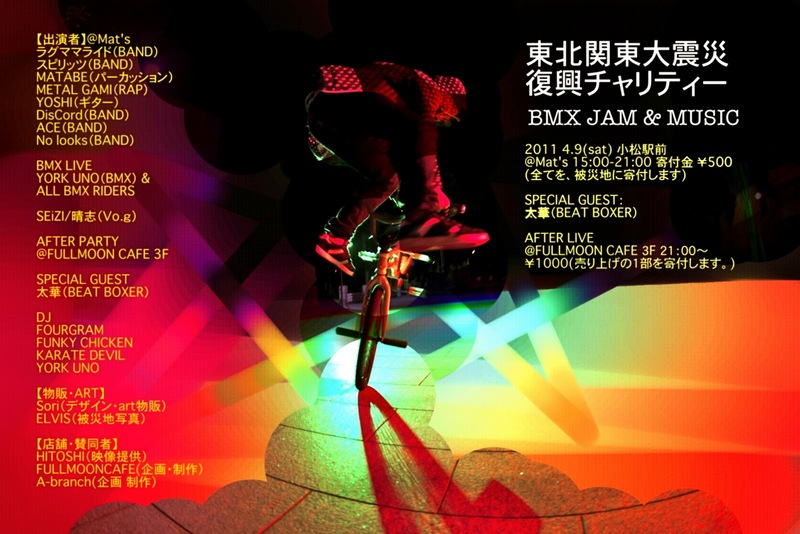 in this new era within the bountiful Flatland scene in Japan. do you follow up the european flatland scene? if so, what do you think about it? Any favorite riders in europe? it’s not only flatland I am interested in. I don’t have a favorite european rider. of the internet on flatland? we move away from reality. channels such as TV and magazines. Any favorite country you would like to visit in Europe? The reason is that I just have never been there. we all heard about the horrible disaster in your country. in what way did that incident change your life and your way of thinking? Yes, it has changed a great deal. that I am always living in a state of danger. that these events are part of my reality. so I would like it to become more widespread. for Japan to undergo a shift in mentality. your riding style is still very contemporary. how important is progression and style for you? What do you think about trends? and to always keep on trying. to become an exciting biking genre. regardless of the fashion at the time. how important are contests to you? do you still participate many contests? into account how they fit in with my plans and schedules. I tend not to think of a particular contest as important. why they are being organized in the first place. how is it that the japanese flatland scene is so big? 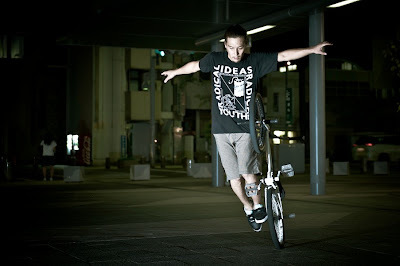 encouraging young riders in Japan to ride flatland? do you think the japanese mentality/way of life plays a role? it seems as if the flatland fever has actually gone down. envisage what should come next. or after reaching a professional level. outside of bike riding itself. Everything is just concentrated in Tokyo. done locally by local people. 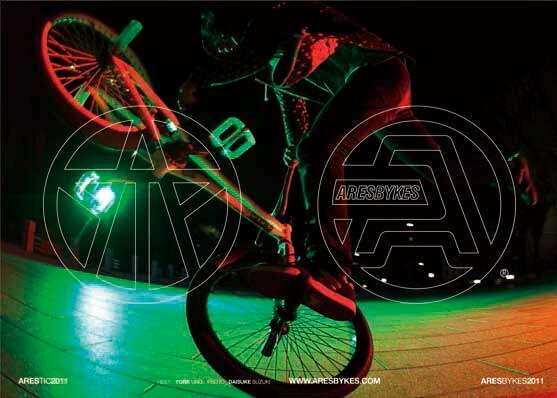 When and why did you have the idea to launch an own BMX brand? what was the first parts you produced? can you please give some history about Ares. When/how did funfancy get involved? I would be the first Asian person to win an international contest. As a rider, when do you reach your limits? I decided that it was necessary to have a sponsor. which naturally led me to the idea of creating my own brand. still continues to support my brand to this day. who is responsible for the design of Ares parts? important thing for you when you design a part? Basically, the riders create new products. Market design and logo design is done by Mr. Masashi Nakamura. so they can perform well out in the world. How are the other Ares riders involved in the daily business of Ares? Who is part owner of Ares or part of the business management? Can you tell me more about the tasks other riders have within the company? I guess people would like to know more about the structure of Ares. but they don’t know what role they play within your company. What is your role in the company? CEO? and the management of the riders. and Masashi is in charge of the overall design. Other riders contact the managers as and when required. for people to do their own thing. take an approach that could be considered rather determined. will only finish when I have finished with the sport myself. Maybe it’s something like a samurai spirit? why do you make the difference between Ares and Arestic? Basically, ARESBYKES is for the body of the bike. 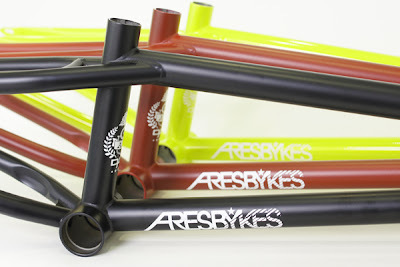 ARESTIC represents the bike parts. There is so much going on with Ares lately. What can we expect in the future from Ares? 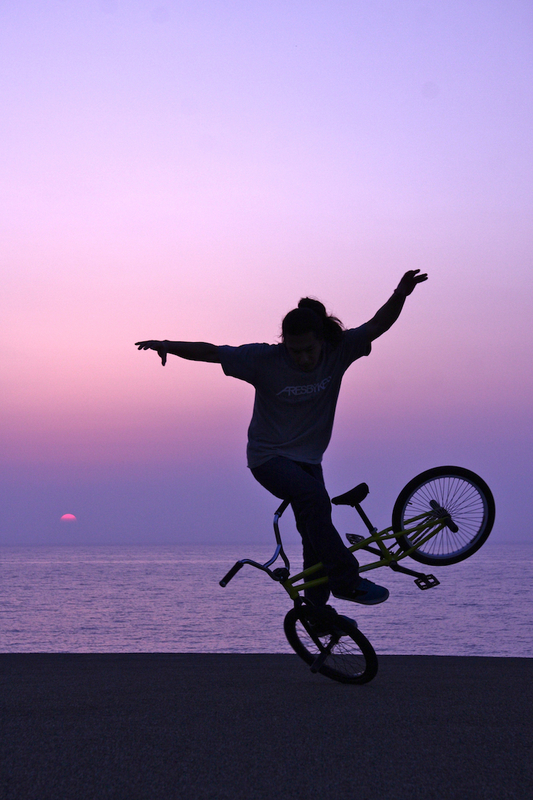 There are only few flatland only bike brands in the BMX scene. and then proceeded to develop a new line straight afterwards. has been and will be a challenge for us. in the process of working out our future strategy. Stay tuned! 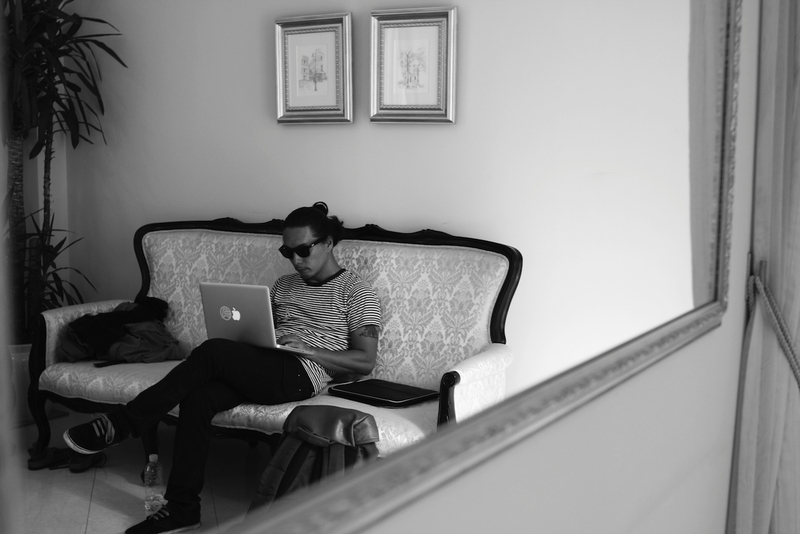 most of your edits include your own music. how much time do you invest in music? on YouTube then you get into copyright issues. my own music as much as possible. is definitely longer than the amount of time spent creating it. I always try to listen to a wide range of music. and just get on the bike. That’s the main thing. you will have plenty of time to think. 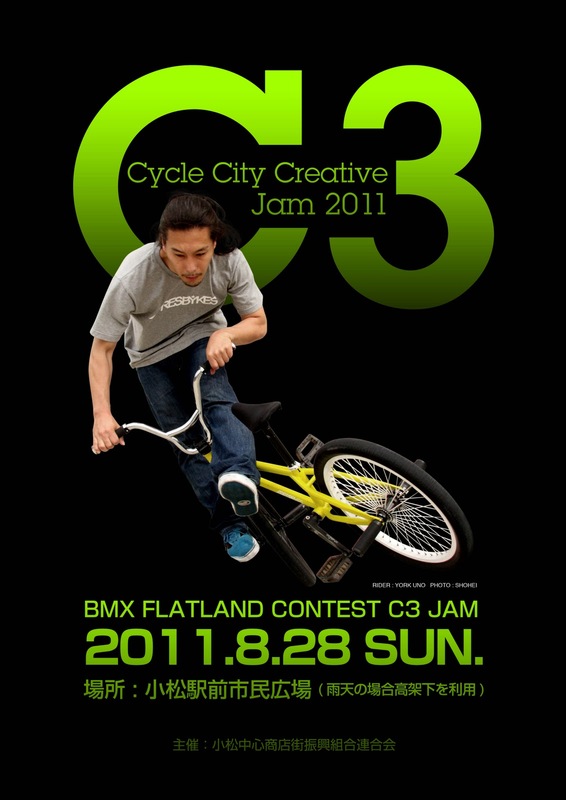 everyone to chill out and enjoy Flatland. INDONESIA DAYS 5 "CAR FREE DAY!!!" ARESBYKES × SUPERB** TOUR "UTSUNOMIYA"